What is your Corporate Gifting Platform and why is it helpful? What other information do I need to know about delivery? When will my Corporate order be dispatched? How much does delivery for Bulk Corporate Orders cost? Can I place multiple orders for different delivery addresses online? Can I add branded ribbon and gift tag to my corporate online order? Can I place a corporate order online? Can I personalise the gift card message for individual hampers? Can I include my own Christmas cards or Gift Cards with my hampers? For businesses wanting to order more than 1 gift to multiple addresses, this Excel-based order form will make it much easier to place your order. 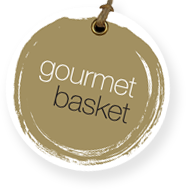 Once completed, please email this directly to corporders@gourmetbasket.com.au, and we will be in touch to take you through the next steps.